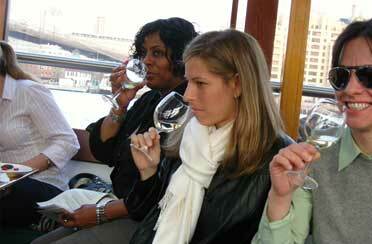 Join us with Wendy Crispell as she leads these fun and interactive NYC wine tastings! 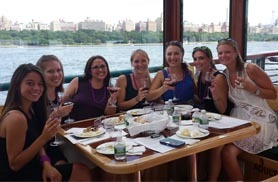 Whether you are interested in wine and cheese or making the perfect cocktail you will be sure to love these fun events aboard our classic yachts. 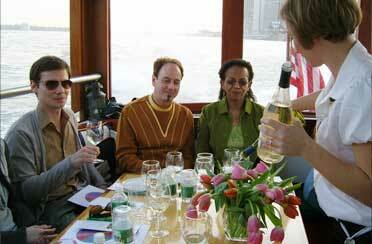 Jump into the wonderful world of wine aboard the Yacht Manhattan and learn what Wendy has to offer. 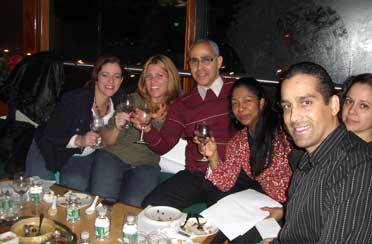 Wendy has been hosting Classic Harbor Line’s wildly popular NYC wine tastings for 9 seasons. 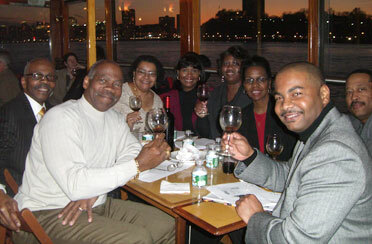 Wendy’s belief that learning about wine should be fun, and accessible to everyone, leading many participants to return year after year. 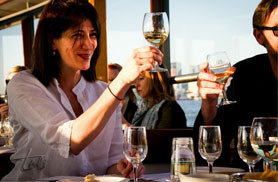 In addition to holding multiple certifications in wine, Wendy is also a certified cheese professional, award-winning culinary writer, known for her world-renowned cocktail creations and is a French trained chef. 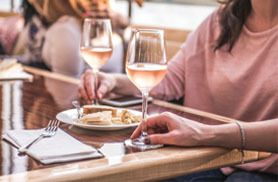 She has traveled the world to get up close and personal insight into the culinary culture, traditions and trends in the world of food and wine. 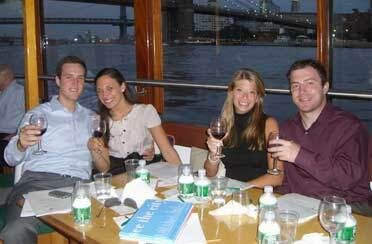 What is the best date idea in NYC? 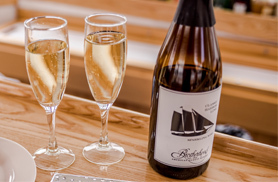 How about a Wine and Cheese pairing on a classic yacht? 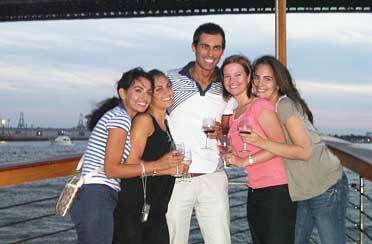 Looking for a boat ride to see the sites of our gorgeous city without a guided tour? 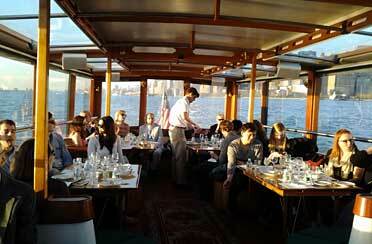 How about a Cocktail cruise that lets you watch the sun dip behind the Statue of Liberty? 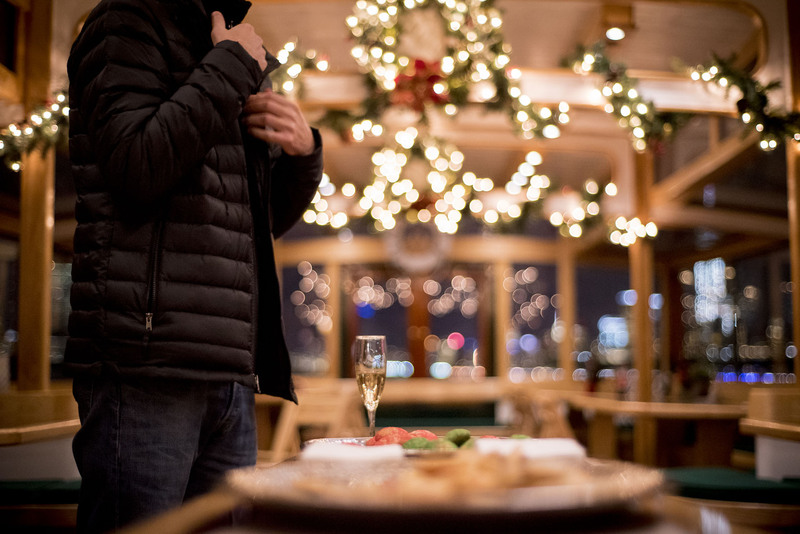 Visitors and Locals alike this wine and cheese tasting or cocktail cruise is great for a group of friends, a magical date or relatives from out of town. 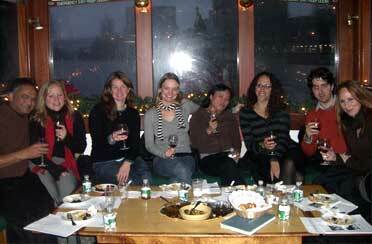 Become a regular and learn the ins and outs of all there is to know about Wine, Cheese and Cocktails with the wonderful Wendy Crispell! 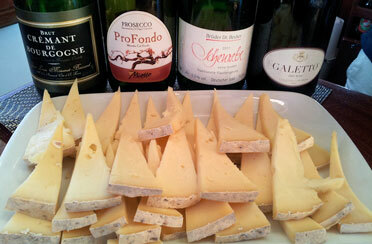 France will always be Wendy’s first love, when it comes to wines and cheeses. 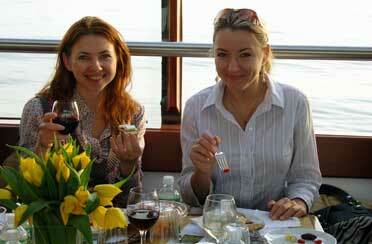 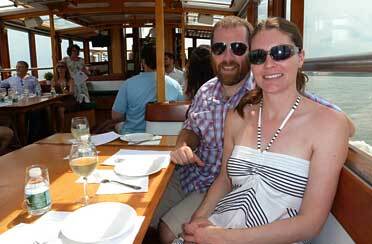 Learn about tradition and current trends in wine and cheese as you cruise through NY Harbor aboard our classic yacht. 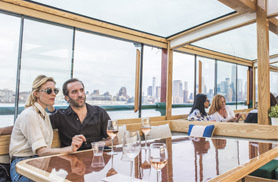 What better way to spend a Saturday evening than sipping on delicious wines as you watch the sun dip beyond the Statue of Liberty.